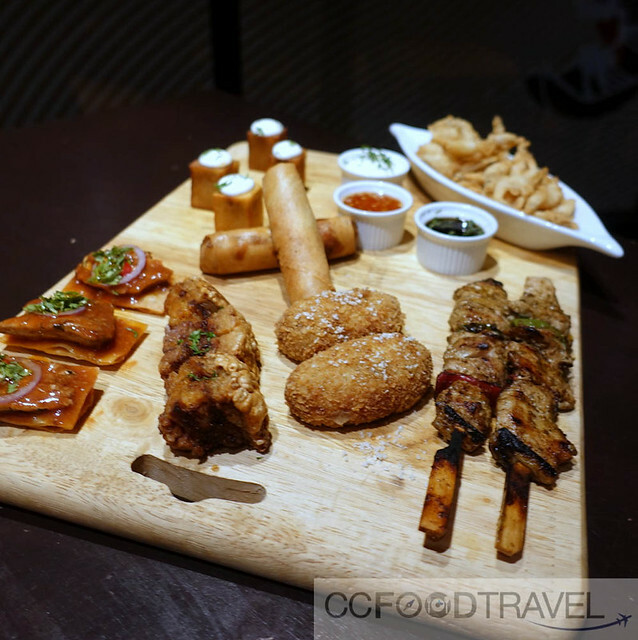 Como brought to you by the good folk behind Pisco Bar, is not a new face to TREC KL. It’s been around for about a year now, and we were surprised it took us this long to visit them actually. 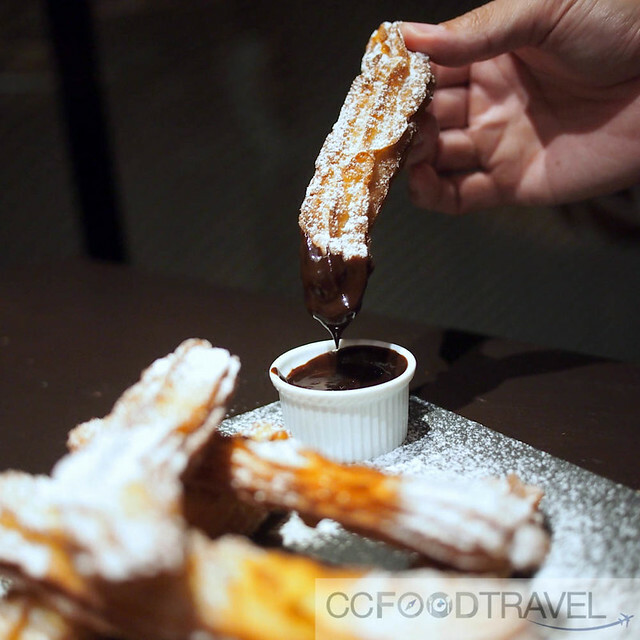 The place is located on the Electric Boulevard at TREC, and it vies for attention along with a slew of eateries and bars. With so much going on here, it’s not difficult to see why we might have overlooked it. But stepping into the cosy bar restaurant, we feel immediately at home. We make a beeline for the quieter private room at the back of the bar.. it may be age playing a part but I guess you can say we’ve mellowed since our party days of yore, and we welcomed the reprieve from the noise emanating from neighbouring bars. 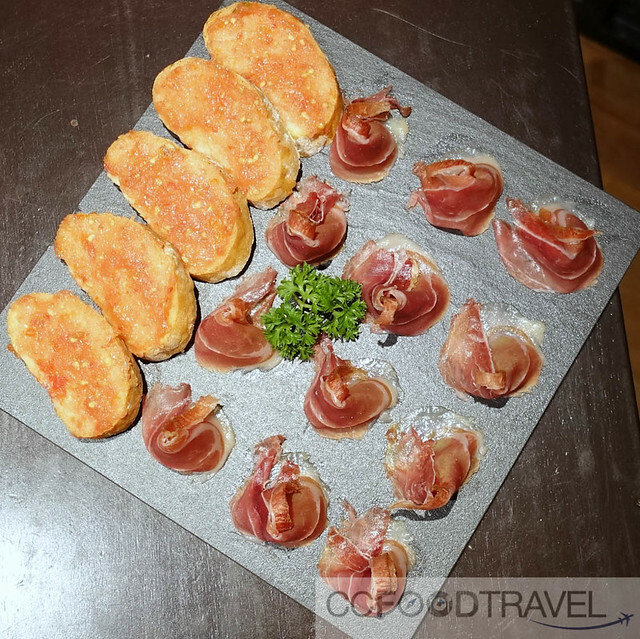 Both modern as well as traditional Spanish tapas is the thing to zoom in on, as well as tasteful, subtle music and a chilled out vibe. 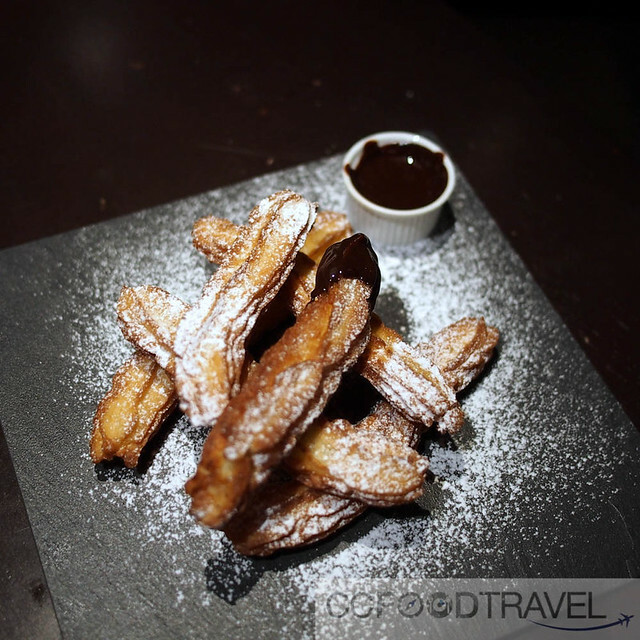 We can see why this might be a great place for an easy meal before you hit the TREC clubbing scene later, to be sure. 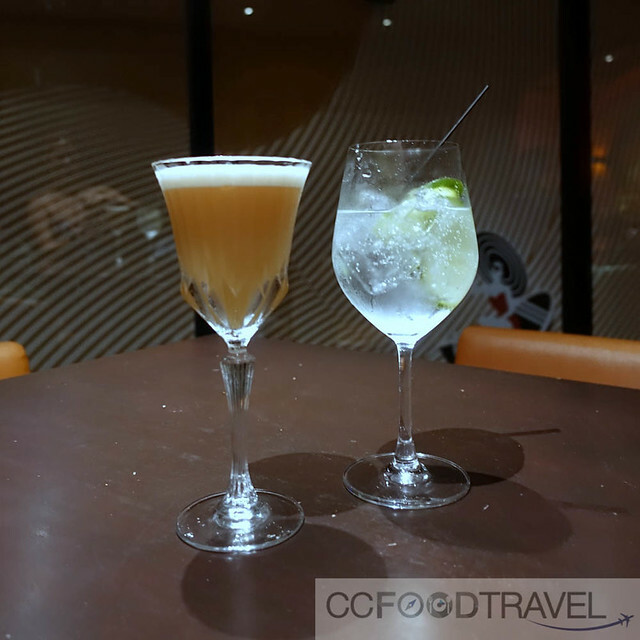 This elderflower, gin cocktail (left) was the bomb..well balanced, fragrant, not cloyingly sweet..
Como features a menu of bespoke cocktails and crafted tipples alongside Spanish tapas with a local influence. We love COMO cocktails.. and paired with their pork dishes…, well, it’s one of those epiphanic moments worth mulling over at a later date. 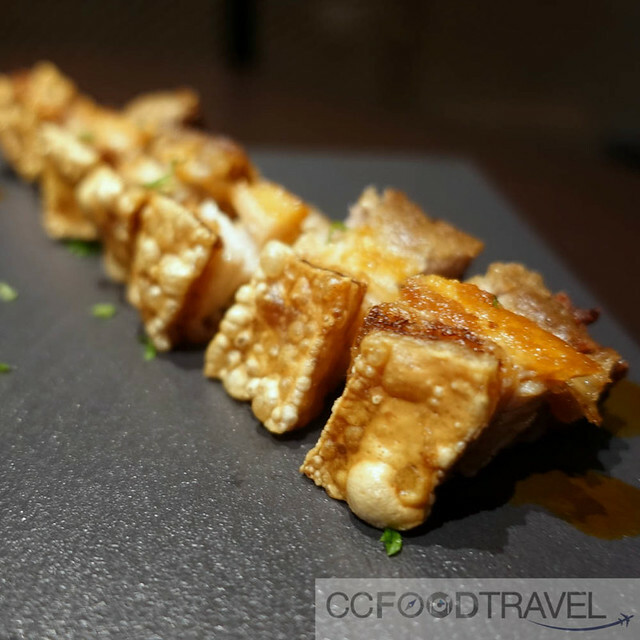 Make sure you have the Roasted pork – it reminds us of Chinese Siew Yoke, but crispier and more sinful.. it’s like they’ve flayed the fat and left you with the cataclysmically crunchy rind and sinewy meat. 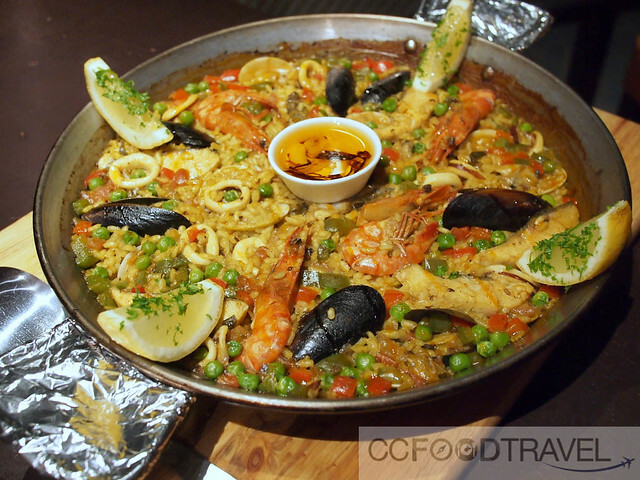 This dish that can be found just as it is, or part of a sharing platter, is topped only by their most densely packed, toothsome paella. 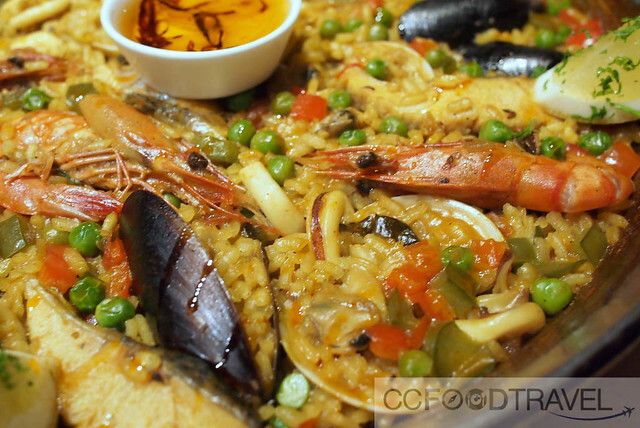 In Como’s version of the classic Spanish dish, all manner of seafood, such as shrimp, muscle-y mussels, squid, fish, clams beckon diners with their gleam, combined with rice simmered in broth and flavored with saffron threads, peas, mushroom, tomatoes, green peppers, garlic and onions. Spanish food sorcery at its best. Jamón ibérico or the Iberian ham is to die for as well. You don’t need much more in terms of flavour, when you have Jamon in the house. 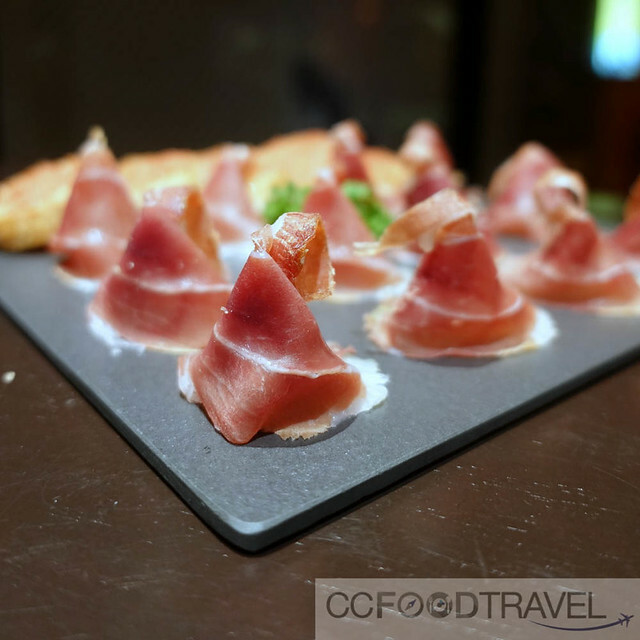 If you have not been to COMO this year, please visit them for fabulous Spanish Tapas treats. And cocktails.. you most certainly should not stop at one. Upscale casual dining might be all the rage these days, but nothing compares to the drama of a bustling open kitchen at a real restaurant….